Chronic restrictive health conditions can complicate the care process for your parents or the other elders in your life. With comprehensive health monitoring at Redlands elder care homes, you can ensure your loved ones enjoy the highest quality of life day after day. As the Big Bear senior assisted living communities strive to maintain an unmatched continuum of care, health monitoring plays a vital role in the daily care of the elders living there. Explore the benefits of comprehensive health monitoring at elder care homes to see if this level of care could benefit your loved ones. Without timely care, symptoms caused by most chronic restrictive health conditions can cause minor to severe discomfort. Daily health monitoring checks allow caregivers to watch for these symptom duration and severity increases. Upon noting a change, patients can receive help reducing their symptoms and living without discomfort at the Lake Arrowhead nursing home. Chronic health conditions can develop complications over time from a lack of medical oversight and care. These complications can worsen the prognosis for the underlying conditions and worsen your loved one’s symptoms. The daily health checks help caregivers minimize the risks of complications and allows for early detection if problems do arise. Falls are a serious risk to elders, so it is important to always think about minimizing the risk of this type of accident. Comprehensive health monitoring assists in this goal by giving caregivers time to assess both health and mobility. With the identification of risk factors, senior assisted living caregivers can take additional measures to keep residents safe. When you cannot be there, you can rest assured that comprehensive health monitoring provides your loved ones with the medical support and care they need. You can enjoy total peace of mind knowing that the daily health checkups help decrease discomfort and control the progression of all medical conditions. You will receive information about the health status and wellbeing of your loved ones while they reside at your trusted Redlands elder care home. Comprehensive health monitoring has the power to control the symptoms and progression of chronic restrictive medical conditions. You can acquire this level of care for your parents or other loved ones at your Redlands and Angelus Oaks residential care facilities for the elderly. 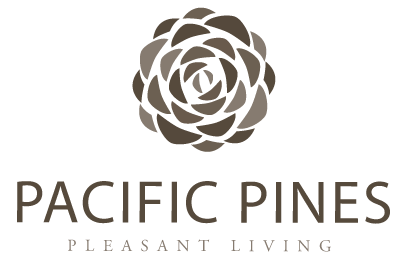 Fill out our online form to book your tour at Pacific Pines. We will help you explore our Angelus Oaks assisted living community and learn about the services offered to our residents.